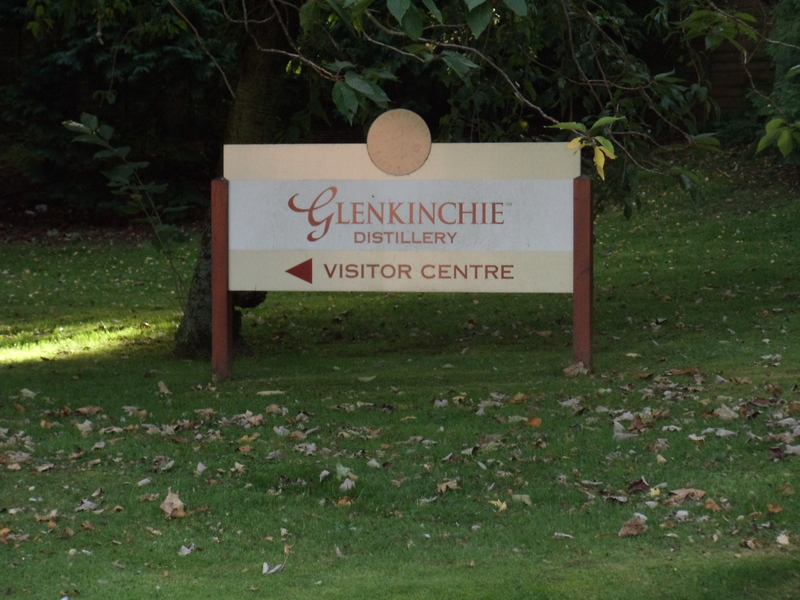 A week after visiting Auchentoshan, I made my way north up the A68 towards Edinburgh, and the Glenkinchie Distillery. Located about 15 miles from Edinburgh city centre, Glenkinchie is nestled among the small villages and rolling hills of the south Scottish countryside. Much like my previous tour at Auchentoshan, Glenkinchie is one of very few lowland distilleries still in operation today. My visit to Glenkinchie was the first of two distillery I had planned for the day, so I had arranged to take the first available tour, which was 10:00am. After parking across the road, I made my way through the grounds, and past the lawn bowling green to the visitor centre. Inside was a well stocked gift shop, with a bountiful supply of whiskies, books, and souvenirs. As I paid for my tour, I was told that there was a group on their way, and that once they arrived, the tour would begin. I was shown through to an area full of displays and exhibits on the history of Glenkinchie, and the of the local area. I was told there was a meeting place at the other end of the room, and that would be the point from where the tour would commence. As I began to stroll through the exhibits, I saw old pictures of the distillery, old bottles from years gone by, and so much more. The most fascinating display was a massive scale model of a distillery. It included all the stages of the distillation process, and provided a step by step account of whisky making from milling the barley to filling the casks. Having had time to sit and study the model, I am now have a greater understanding when taking tours as to what is happening at a particular stage in the whisky making process. Another interesting exhibit was that of a local farmer who began buying the left over mash for use as cattle feed. Apparently the leftover mash once all the liquid has been drained away was full of nutrients not found in traditional cattle feed, and from all accounts, the cows enjoyed the taste too. This farmer began to enter his herd into local and county fairs, and for a good number of years was awarded best in show, and he credited it to the feed he received from the distillery. Selling mash to farmers is now something that happens at most distilleries, as it provides an efficient disposal for the distillery, while giving the cows a tasty, nutritious feed. During my tour, I was informed that the displays set up were actually sitting on the old malting floors, a process which like most distilleries, Glenkinchie abandoned a number of years ago. Once I reached the end of the exhibits, I took a seat and waited for the missing group to arrive. Roughly five minutes passed, and a young woman poked her head through the doorway and introduced herself as Amanda. She explained to me that the group were unable to make it on time, therefore, I was fortunate enough to have a private tour of the distillery. She began by asking what sort of knowledge I had about Scotch, and the distillation process, and I responded by explaining my love for the sweet nectar, and which tours I had taken previously. This gave a frame of reference for Amanda, and she was able to spend a great deal more time talking to me about Glenkinchie itself, rather whisky making in general. We made our way around the mash house, and still houses, and ended up in my favourite place, the warehouses. Although they are dark, damp, and cold, the smell of a traditional stone warehouse is a scent that is so warm and comforting. 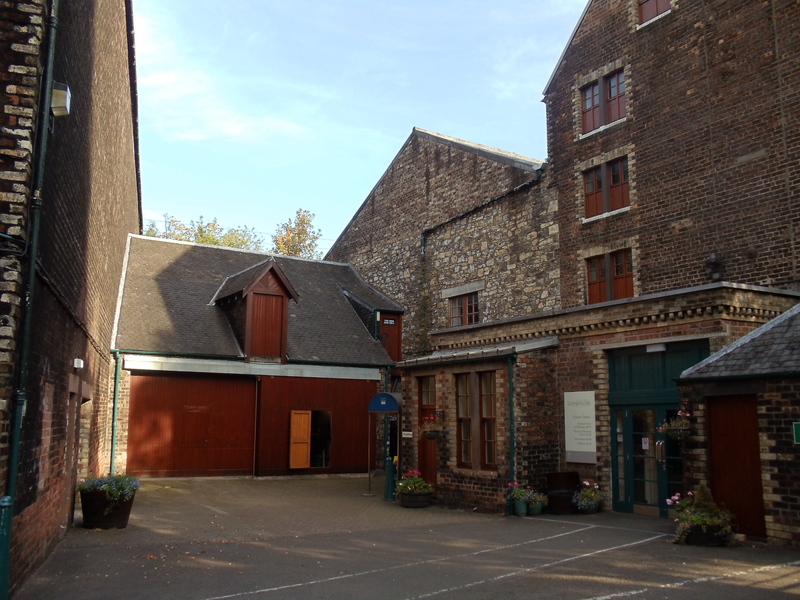 The warehouse which we visited was right across the courtyard from the visitor centre, and it was obvious by the low ceiling and beautiful, intoxicating aroma that this was one of the original warehouses from many years ago. Now came time for what is usually my favourite part of any tour, the tasting room. Glenkinchie aren’t know for having a wide range of age expressions, as they sell a majority of their whiskies for use in blends. In fact, if I recall correctly, I believe upwards of 5% of Johnnie Walker Red Label is made up of whiskies from Glenkinchie. This left me what I thought would have been a small selection from which to sample (which was good seeing as how I was driving all day) but never in my wildest dreams could I have imagined the selection before me. I had the customary dram of Glenkinchie 12 Year Old, and it’s light, golden body went down a treat, and it wasn’t yet 11:00am. Amanda then pointed to the large selection of bottles on the shelves behind and asked if there was anything else I would like to try. I nearly cried, the thought of all those whiskies just waiting to be sipped, but I informed Amanda that I was driving to Dalwhinnie for a distillery tour that afternoon. At first I thought she didn’t like what I had said, as she simply turned and walked away. Not sure what to do, I began to gather my things when she made her way out of the backroom. In her hands was a little faux leather passport, and in it were a list of distilleries. She explained that if I signed up to be a friend of the “Classic Malts”, I would be given free admission to each distillery, and for every distillery I visit, I would get a stamp in my passport. Should I visit all 12 distilleries, I could send my passport away and I would get a token of their appreciation. It was free to become a friend of the “Classic Malts”, and it just so happened that my next stop, Dalwhinnie, was one of the participating distilleries. This day was just getting better and better, and aside from the fact that I had to turn down so many lovely drams, I couldn’t have asked for anything more. I had a personal tour of a distillery, and I now had a free pass to 11 more. I would not hesitate to go back to Glenkinchie again, I just hope I could have Amanda again as my tour guide, and have someone else come along to be my designated driver.